Woelwaters is located in the heart of the quaint coastal village on the main beach facing the lagoon and the Onrus River mouth. The house was originally built by the owner’s father, and recently renovated in a comfortable beach house style. The design of the house lends itself to a no fuss and ultimately relaxing holiday, with the best views of the beach and the bay imaginable. Onrus is just outside (10 minutes drive) of the bigger town of Hermanus. The area is well known for it's wineries, whale-watching, water sports and golf courses and has an unique ambience with the sea, fynbos-clad mountains and river mouths. The white sandy beaches, numerous restaurants, quaint coffee shops, craft markets and interesting local shops attract many visitors, especially in the whale watching season from June/July to early December. Hermanus is one of the few towns with a local whale-crier that announces the arrival and presence of southern right whales in Walker Bay. Onrus itself has a wonderful sandy beach alongside the Onrus river lagoon. It has a lengthy network of coastal paths for those who love walking, has a number of safe tidal pools to swim in, is a popular surf spot for young and old alike, and generally provides for a relaxing and fulfilling holiday at the beach. 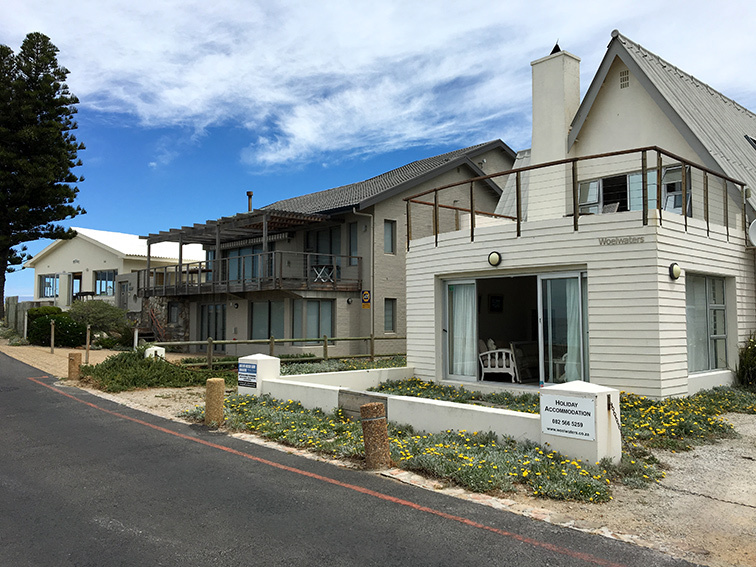 It is smaller than the bustling Hermanus, but provides all the amenities that you may need with numerous restaurants and a handful of grocery stores and coffee shops. 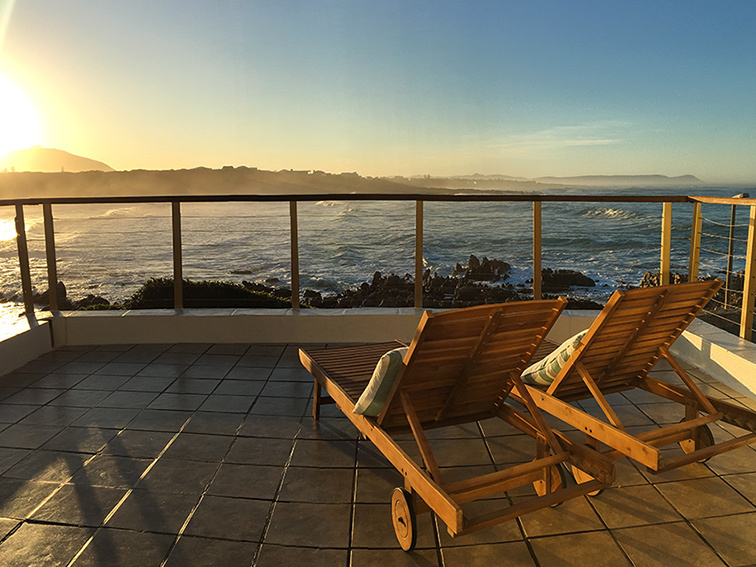 Woelwaters, our property at 81 Atlantic Drive, is built on one of the best, if not the best, locations in Onrus. 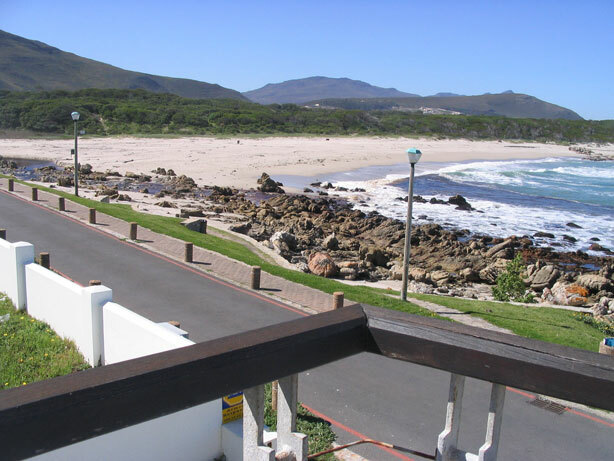 You have exquisite views of the beach, mountains, sea, and even the visiting southern right whales! The elegant Milkwood restaurant is about 100 metres down the road, ideal for the days when no one wants to cook, while a beach kiosk where you can eat fish and chips while still in your beach gear, overlooks the lagoon.